Rapid setting self-leveling compound suitable on all cement and gypsum based substrates. Designed for leveling of floors under time pressure in interior areas. Many types of floor coverings can be laid after 1.5 hours. 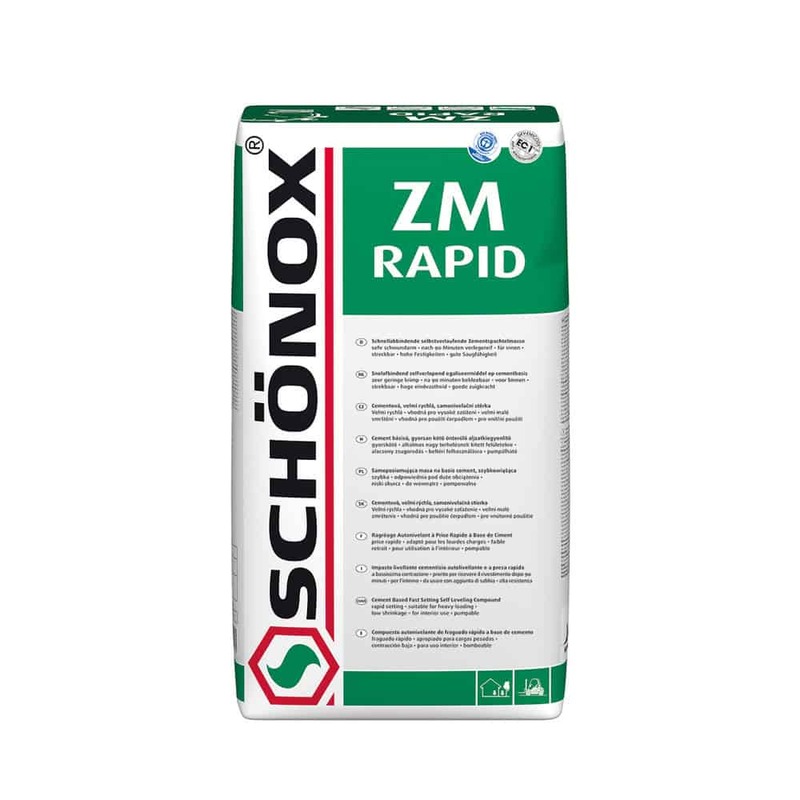 Schönox ZM Rapid can be installed up to 1”. After approx. 1.5-2 hours up to 3/8″ thickness prior to installing carpet, vinyl, and linoleum; Approx. 12 hours prior to installing wood floor, cork or rubber.